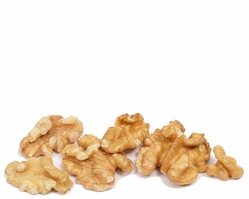 We have been supplying our customers with Walnuts from Ferrari Farms in California for well over 40 years and the consistent high quality from this grower is testimony to their skilled attention in every facet of farming, storage, and packaging. Enter your email address and press Signup to receive future product updates. © 2019 Jaffe Bros., Inc. All Rights Reserved. Store Design & Photography by Larry J.